Blackburn Business Improvement District’s (BID) nature-themed festival, Countryside Comes to Town, has been shortlisted in the Tourism Event Category of the 2015 Lancashire Tourism Awards. The event took place across the town centre on Saturday, June 20, and popular attractions at the family fun day included an appearance from CBeebies Mr Bloom, a pop-up petting farm and talking theatre pieces. The winners are to be announced at a ceremony in the Empress Ballroom at Blackpool’s Winter Gardens on Thursday, November 5. We are delighted to have been shortlisted as a finalist for the ‘Oscars’ of the Lancashire tourism industry! 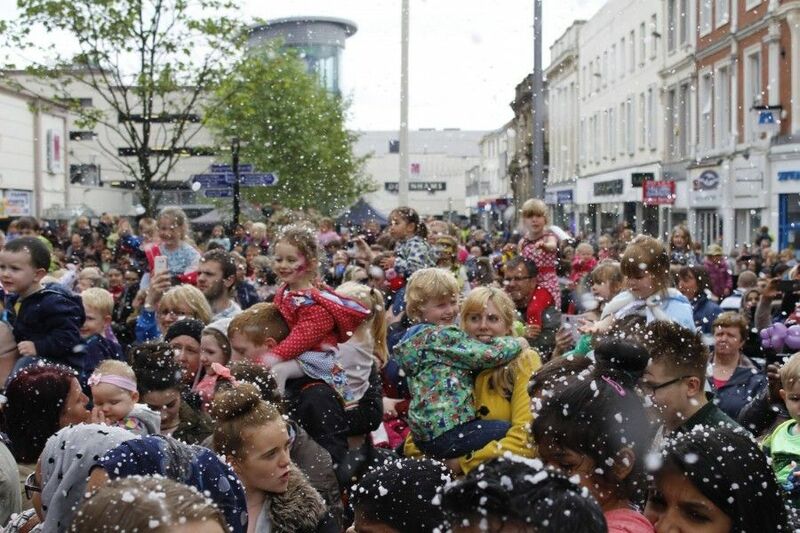 The BID team have been working hard all year round to make Blackburn a better place to live and visit by organising more family fun activities. The annual awards, organised by Marketing Lancashire, recognise and reward those individuals who go the extra mile for visitors. Finalists of the Lancashire Tourism Awards 2015 will be invited to an interview by the judging panel during the week of October 12, when each organisation will have the opportunity to discuss their application in more detail.